It may not seem like a priority, but maintaining strong media relationships is an essential part of any effective public relations plan. The key, however, isn’t just seeking coverage; it’s about building relationships. That can be intimidating when you’re reaching out to someone you’ve never met before, especially when that person has the power to influence how people see your brand. With that in mind, here are the best ways to engage a new media relationship that will be mutually beneficial— and ensure that you receive coverage. Just like a potential employer or client, those in the media will look you up online to determine whether you’re a legitimate expert in your field. This is most likely a refresher, but if you haven’t done it yet, start creating a digital presence that showcases your knowledge. Begin by launching your own blog and composing thoughtful, high-quality articles. Seek out guest-posting opportunities at reputable industry publications. Consider creating a podcast or video series that people can share on social media. Speaking of your site, make sure it contains your contact information and an “About” page that highlights your background, interests, and personality. It also wouldn’t hurt to create a media kit. This contains relevant information regarding your service, product, or event in one location so journalists or content producers can easily cover you. And don’t forget to clean up your bios on social sites like LinkedIn and Twitter so you look like the expert you are. At a minimum, make sure you have a professional handle and headshot. Your bio should describe who you are, what you do, and your areas of expertise. If you’ve been covered in other publications, let the world know that as well. Create a targeted contact list. Which audiences do you want to reach? Is it the general public? Is it a national or local audience, or is it within a specific niche related to your industry? If you’re in the financial sector, for example, you probably wouldn't want to reach out to a media organization that covers pop culture. Once you’ve narrowed your list, research the authors, journalists, or editors you want to establish a relationship with. Ideally, these are the people who cover your industry. As an added perk, this can help you better understand their tone, philosophy, or lead times. When you have a list of specific people you wish to connect with, become a reader and distributor of their work. And, of course, it makes sense to start following and interacting with them on their social media channels. If they see that you genuinely find their content compelling, they’re more likely to find a spot for you within it. Before you start reaching out to others, you need to fine-tune your pitch. This is arguably the most effective way to build any type of meaningful relationship. Why? Because it ensures that you can be of assistance and aren’t just using them to plug yourself or your organization. A strong pitch should be clear, concise, unique, and customized. You don’t want it to appear like you’re sending out mass emails to a wide range of individuals. Explain how you can provide value, and include links to back up your statements. Bullet points and infographics are perfect for quickly getting your point across. Don’t annoyingly call media connections throughout the day. Start a conversation on social media by congratulating an individual on a promotion or acknowledging a recent story she covered. Share her work on your social accounts. Offer suggestions for future stories she could cover. Is there another reliable resource you believe she should talk to? Connect her with that source by giving a shout-out on social media or sending an intro via email. And, because you’ve perfected your pitch, it’s in great condition to be sent to your connection via email. Why email? More than 90 percent of journalists reported that email is their preferred method of pitching. Be real about angles, and focus on the editor’s interests. If there’s one lesson you should take away from all this, it’s this: It’s all about the editor’s needs. After conducting your research, refining your pitch, and establishing the relationship, it’s time to go in for the hard sell. For this to be effective, though, you need to be honest about what your angle is and why the editor would be interested. Here’s a situation I experienced recently. I was contacted by someone pitching an article regarding InMyArea. My initial reaction was “Why would I write about this, and who are you?” That may sound harsh, but I wasn’t familiar with this specific person. However, he’d actually sourced a variety of articles I had written, specifically stories discussing successful founders and how they give back to their communities. This indicated to him that I was passionate about entrepreneurs and their philanthropic efforts. What really kept my interest was that he gave me clear examples of why, how, and what was unique about this brand and how its business aligned with my interests. To be honest, I don't have to cover this business with the new site I'm running. But I appreciated the effort to understand what I had a natural interest in and as a result I said, “Let's do it!" Meet with them face-to-face (if possible). Time is arguably the most valuable resource for all of us. With that being said, scheduling an in-person meeting may not always be feasible — especially when those in the media have hard deadlines to meet. However, once you’ve established some rapport, it doesn’t hurt to request a face-to-face meeting. If you live in close proximity, offer to take a reporter or editor out for coffee. Again, because time is limited, these should be set up several weeks in advance so you’re not interfering with their deadlines. You could also schedule an office visit so they don’t have to leave their workplace to meet you. Not only will they appreciate your effort, but it also gives you an opportunity to get to know him or her better. If you’re successful in setting up a meeting, your agenda should be nothing more than simply saying hello and developing rapport. 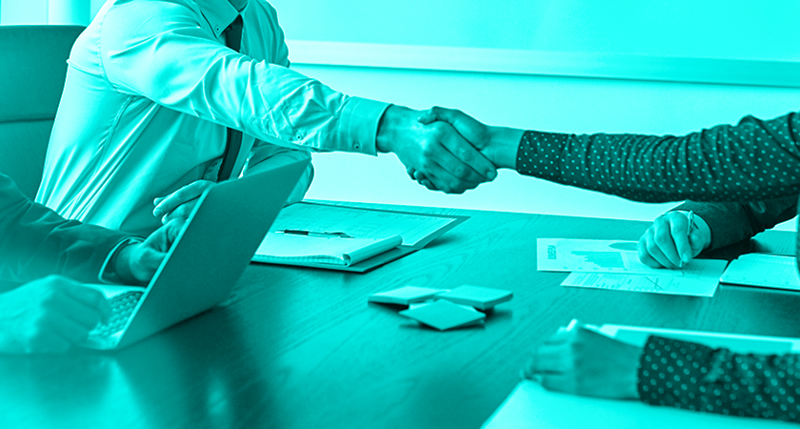 While not guaranteed, taking the time to invest in strengthening the relationship can help increase the chances that your pitches will get covered. Also, don’t be discouraged if a contact doesn’t accept your request for a one-on-one sit-down. To save media connections time, host an event that journalists, editors, or content producers can attend to learn more about you and your company. If you don’t have the budget to hold your own function, attend networking events or conferences where you know they’ll be in attendance. Remain accessible, and give them good — and original — content. If a media personality shows interest in your story, respond to her as quickly as possible. This shows that you’re dependable and respectful of her time. Furthermore, be as helpful as possible. Personally, I love it when I’m provided with amazing and original supporting materials— it makes me feel important because it’s not the same information everyone else has access to. This could include high-resolution images, a list of resources, or an expert column. Bonus points if they share content like an infographic or a video that I can easily share on social media or post to my site. This may seem like a lot of work upfront, but this is a tried-and-true way to create a beneficial and long-lasting relationship. Getting an individual or organization to cover you is a process that doesn’t happen overnight. It takes time and persistence to build a meaningful and long-lasting relationship. Don’t be discouraged if no one’s interested in your story at first. Keep on pitching, without being too pushy. You need to prove that you’re trustworthy and useful to the media. And the only way to do that is by building a strong foundation.